Time, not money, is the true commodity. We make money to have more time to do the things we enjoy. When you want to squeeze the most out of every minute, nothing matches the speed and power of the 2018 Chevrolet Camaro. Equipped with a range of engines, trim levels and packages that make it the perfect touring vehicle or track nightmare, the 2018 Camaro delivers unmatched thrill and refinement. Equipped with a spirited base 4-cylinder engine, the 2018 Camaro manages to push out a minimum 275 horsepower. Drivers looking for extra throttle can select the 335-horsepower V6 that goes from 0-60 in 5.2 seconds. One more step up gives drivers a 0 – 60 time of 4 seconds with the 455-horsepower 6.2L V8. Finally, for drivers looking for maximum performance, the 2018 Camaro ZL1 delivers. 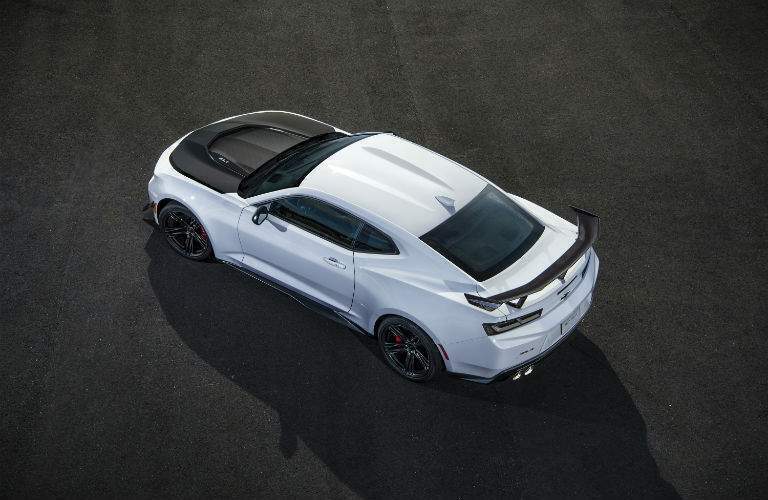 650 horsepower and 650 lb-ft. of torque get the ZL1 to 60 mph in 3.2 seconds. Shop our Chevy Camaro inventory now! Test-Drive a 2018 Chevy Camaro in Scottsboro, Huntsville and Beyond Today! America’s most awarded car company for three years in a row also delivers the most exhilarating ride. The 2018 Chevrolet Camaro provides uncommon fun at any speed. Whether you’re looking for an efficient, but powerful daily commuter, or a weekend track warrior, you’ll find the Camaro has a powertrain and trim level for you. From your first look at the 2018 Chevy Camaro, you’ll know that this car was built to perform. A large front end with a tight and aggressive front grille eagerly consumes the road in front of it. Swept back along the athletic profile to the fastback end, is the Camaro’s GT shoulder line that offers a hard-to-ignore presence on the road. Chevrolet’s high standard of design is carried forward inside the 2018 Camaro. A wide dashboard with an elevated center console, integrated infotainment system and available RECARDO® racing seats make the interior of the Chevrolet Camaro as meticulously refined as it is functional. The speed and acceleration of the 2018 Chevrolet Camaro make it the perfect vehicle to let the top down in. Available in a stunning convertible body style, the 2018 Camaro lets the wind blow through your hair at sublime speeds, without any sacrifice to handling or ride quality. 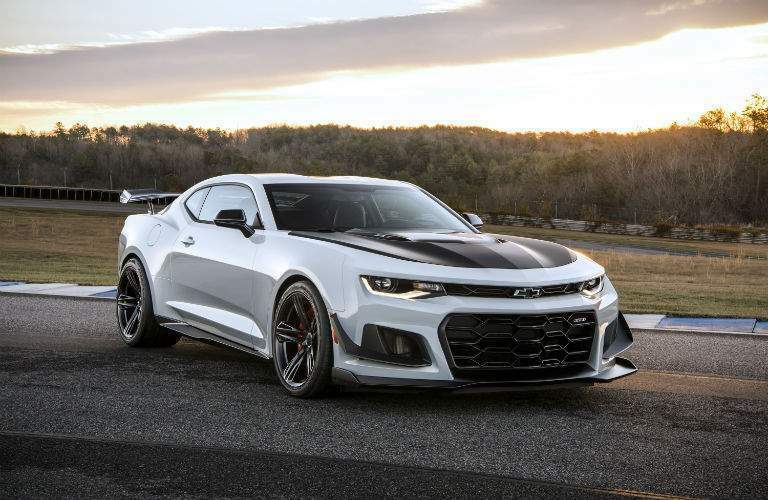 Multiple appearance packages including a limited edition Hot Wheel® edition which celebrates the iconic style of the Camaro, and Red Line edition that gives the 2018 Camaro a more planted and street-ready appearance make it less of a vehicle and more of a form of expression. The 2018 Chevrolet Camaro delivers thrill, style and versatility in a customizable package. Contact us today for more information about the 2018 Camaro, or to schedule a test drive!